We love babies. And we understand baby's delicate skin loses moisture nearly two times faster than adult's skin. Johnson's baby lotion softens and nourishes your baby's skin ensuring that baby skin stays healthy and develops well. Its Clinically Proven Mildness formula is designed to be gentle for newborn skin helping replenish its moisture. 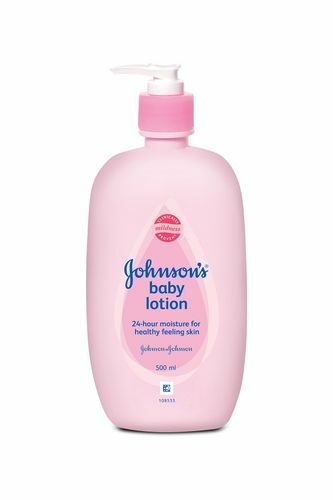 With a classic Johnson's Baby scent, this hypoallergenic lotion is specially formulated to protect and nourish a baby's tender skin from the drying effects of the environment. Studies show that enjoyable and familiar scents have been proven to improve mood, calmness and alertness. A mother's loving touch and Johnson's Baby Lotion's mild fragrance can help in awakening your little one's senses to make her feel fresh and help in her growth. linically proven mild helping in ensuring no irritation to your baby's delicate skin. Helps development of baby skin into healthy skin. Explore the entire range of Creams, Lotions & Oils available on Nykaa. Shop more Johnson's products here.You can browse through the complete world of Johnson's Creams, Lotions & Oils .